Ta Dah! Art for the People’s Art of Celebration has materialized with 65 Austin Artists! 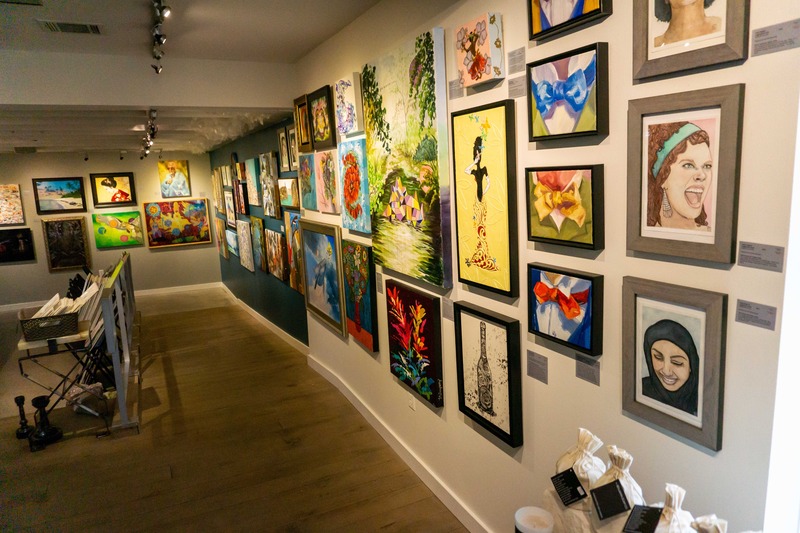 Peruse and purchase from the array of Austin Art in the form of encaustic, mixed media, mosaic, scratchboard, textiles, watercolors and other mediums. Wow, 5% of sales from the Art of Celebration will be gifted to Share Art Heal. How does it get better? YOU, come and purchase Austin artwork that creates a difference in people’s lives. When? Art of Celebrations begins on Saturday, 2nd of February 2019 with the Opening Reception on Friday, 8th of February 2019, 6pm ‘til 9:00pm and continues through the 27th of April 2019. Art of Celebration's journey began 2.5 years ago when Lynnie and Kyle Pitts (owner of Austin Blanks) started chatting about what an artist might create with a theme of "Celebrate"! In 2017 the first Art of Celebration involved 14 artists and for the third year we have 66 artists!!! We are so grateful for the art journey that we are on with the many creatives of Austin and beyond!!! !